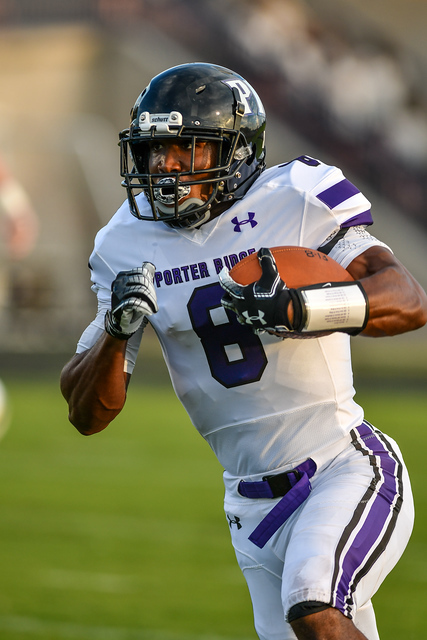 Week 1 Player of the Week is Porter Ridge's Jaylen Coleman. Jaylen ran for 349 yards on 20 carries and scored four touchdowns in the Pirates 56-35 win over Cuthbertson. Coleman's 349 yards ranks 3rd all time in Union Co. history. Jaylen had TD runs off 75 and 67 yards in the win. Congrats Jaylen! !